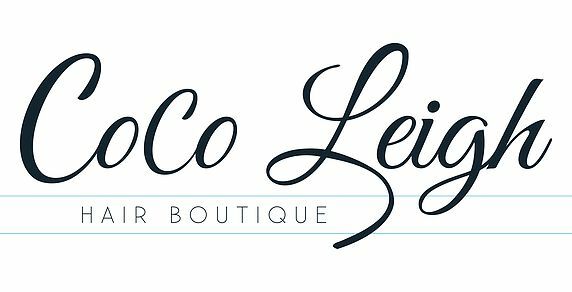 Coco Leigh Hair Boutique carries top of the line hair care products for our guests. We offer many different brands to choose from. Protect your hair investment and maintain healthy long lasting hair color at home. Your style will be preserved and you will leave your home having beautiful hair. Through the use of innovative and breakthrough bonding technologies, these treatments actually improve the health and condition of the hair by creating a protective protein layer around the hair shaft to eliminate frizz and smooth the cuticle. She by SO.CAP.USA is the global leader in producing 100% Human Hair Extensions. Our Innovative products have been developed and manufactured in Italy for over forty years by a team of specialized chemists, engineers, trichologists, and hair extensionists. We are widely recognized as an industry leader for providing state-of-the-art technology, advanced application techniques, superior products, and quality education in the extension market. As Aquage began to be recognized as a strong force in the industry, we asked beauty industry icon, Sydell Miller, to join us on our journey. We knew the dream that motivated her and her late husband Arnie Miller, to build a company for hairdressers by hairdressers was still very much alive today. We’re proud that we’ve kept our promise to only sell to independent salons, no national salon chains or retail stores for over 17 years, so salons can use and recommend our products with confidence. Aquage is the company you can trust. What began as a single, revolutionary product that pioneered a new category in the beauty industry, has grown into a full line of hair and body products, all infused with nourishing antioxidant-rich argan oil, signature to the brand. Dedicated to providing the highest quality hair and body products, Moroccanoil has grown into an iconic beauty brand in less than a decade. Original, one-of-a-kind, Ophthalmologist developed lash conditioner that enhances the look of lashes and protects against breakage, while improving health, flexibility and strength, for lashes that thrive, naturally.